The Japanese hit anime series Steins;Gate will release to a 4-disc set from Funimation that includes all 25 episodes of the show spanning from 2011 to 2015. 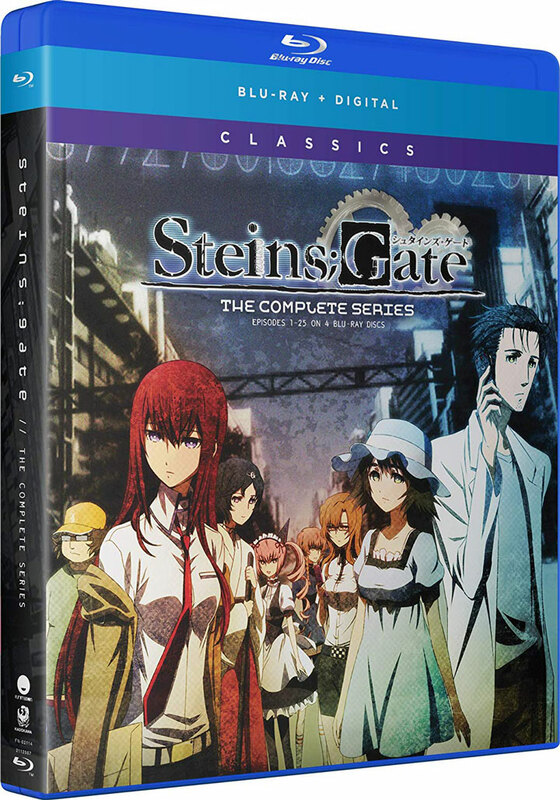 Steins;Gate The Complete Series also comes with commentary on four episodes (01, 12, 19 and 24) as well as textless songs, a U.S. trailer and Japanese trailers. The approximate 24-minute episodes bring this collection to a total runtime of 625 minutes. The Blu-ray disc video is presented in 16:9 aspect ratio at 1080p. English audio is provided in Dolby TrueHD 5.1 but we’re not sure if that includes all episodes. Japanese audio is provided in Dolby TrueHD 2.0. Anime Vice says Steins;Gate: The Complete Series is “like somebody taped an episode of The Big Bang Theory over a copy of Donnie Darko.” The show stars Mamoru Miyano, Asami Imai, Kana Hanazawa and Ashly Burch among other cast members providing voiceover acting. The show was produced by Frontier Works and Future Gadget Lab. Steins;Gate: The Complete Series releases to Blu-ray Disc on Feb. 5, 2019. The 4-disc collection has a retail price of $49.99 and can be pre-ordered from Amazon. Previous Previous post: 10 Ultra HD Blu-ray Movies Under $15 That Are Well Worth It!